From a certain perspective, the Toyota FJ Cruiser is a bad choice of vehicle. It looks rather ungainly, is difficult to get into, has a nine-year-old chassis, and has a thirsty 4.0-liter V6 powerplant. 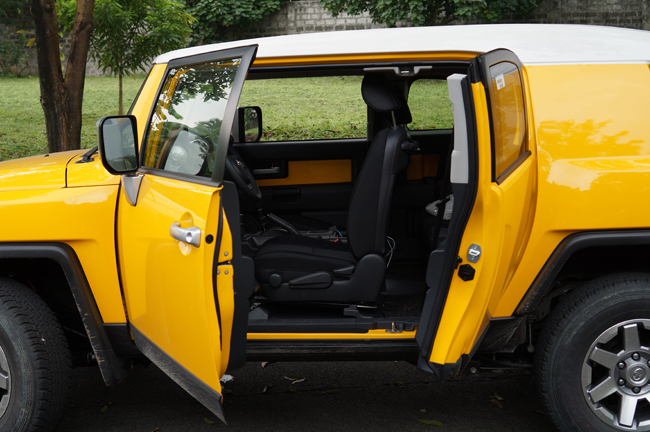 Also, the FJ’s suicide doors, while nifty in concept, are quite impractical in real-life use. Because of how the front and rear doors overlap, you have to open the front door all the time when accessing the rear seating area. If there is another vehicle parked beside you, it can be challenging to enter the back seats. 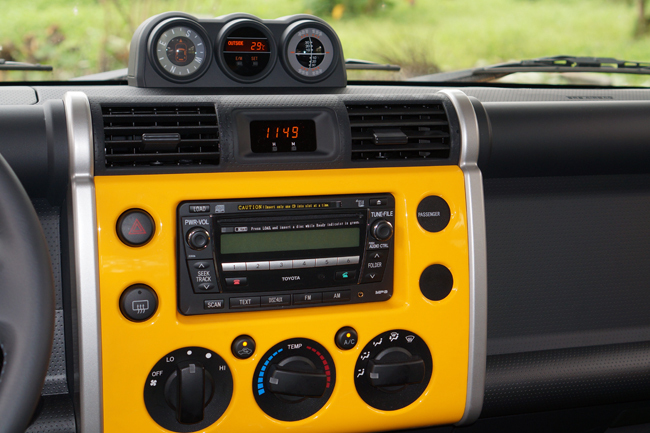 And once you’re inside, you will be greeted by an interior that looks like it belongs in the '80s, with knobs so chunky they seem designed for pre-schoolers. How thirsty is the V6, you might ask? In the worst possible conditions--like in holiday traffic with four adults, a child, and overnight bags--I got 4.5km/L. In the best conditions--like a midnight drive on the expressway, no traffic, with just a driver and a passenger inside--I managed a mere 8.5km/L. So the FJ Cruiser is large, impractical, gas-guzzling and old. And I love it. I think it looks perfect. I still haven’t fully grasped why the design appeals to me so much--it just does. It reminds me of Tonka toy trucks, the Volt Lander (feet of Voltes V), and the FJ40-based Mini Cruisers made by Delta Motors for the Philippine Army that I rode in as a kid. And it just looks unlike anything that’s currently on the market. Despite being almost a decade old, it doesn’t look dated at all. The cabin is simple, true, but it perfectly complements the outside design. 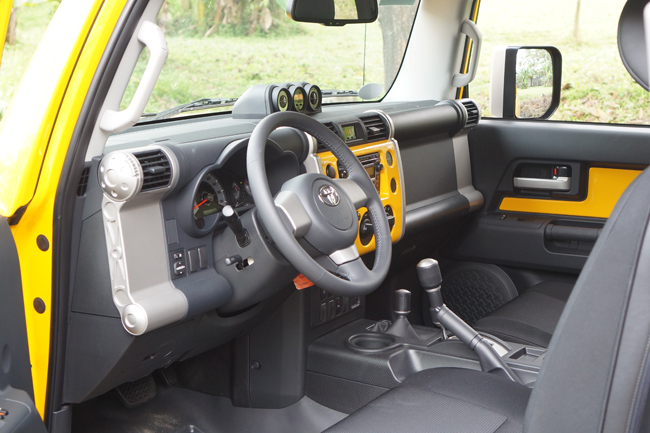 In my case, the yellow FJ Cruiser that Toyota Motor Philippines lent me extends the body color to the door panels and the dashboard. I think it’s a bold style choice. Everything you need is also within easy reach. The right hand rests comfortably on the large shift lever, giving you a feeling of superiority handling all that power. The seats are comfortable because they lean toward soft. 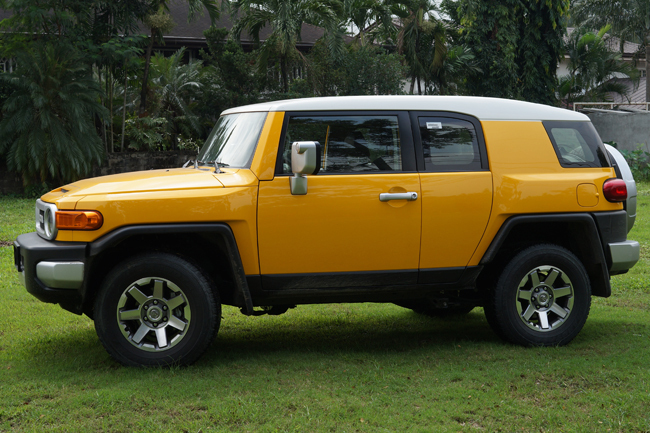 Combined with the thick 17-inch tires, the FJ Cruiser rolls over road imperfections with ease. I drove over rumble strips and all I heard was a gentle hum, whereas in smaller cars the whole vehicle rattled and depreciated instantly. It may be thirsty, but the 268hp coming from the massive V6 gets the FJ going quickly--especially for its size. The readily available grunt of 380Nm controlled by a five-speed automatic gearbox also helps move this large Toyota SUV effortlessly. And despite the upright yet short windshield (with three wipers), the view from the cockpit is easy to adapt to. 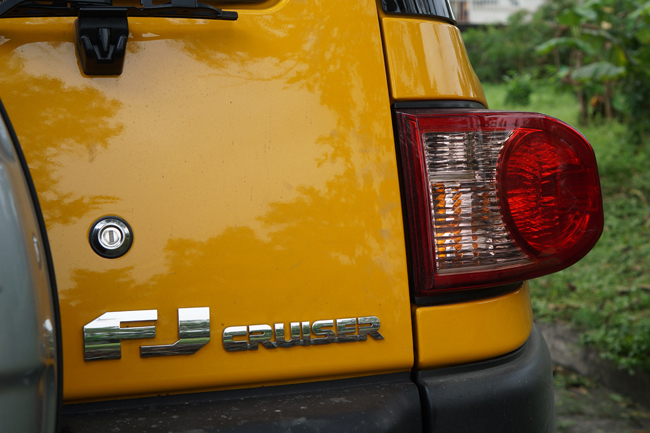 Driving around in the FJ is no harder than piloting a Fortuner. Actually, a large part of the FJ’s appeal is that you can drive around almost anywhere with it. Its off-road prowess has been proven many times since its introduction. But even urban obstacles are no match for this mighty machine. 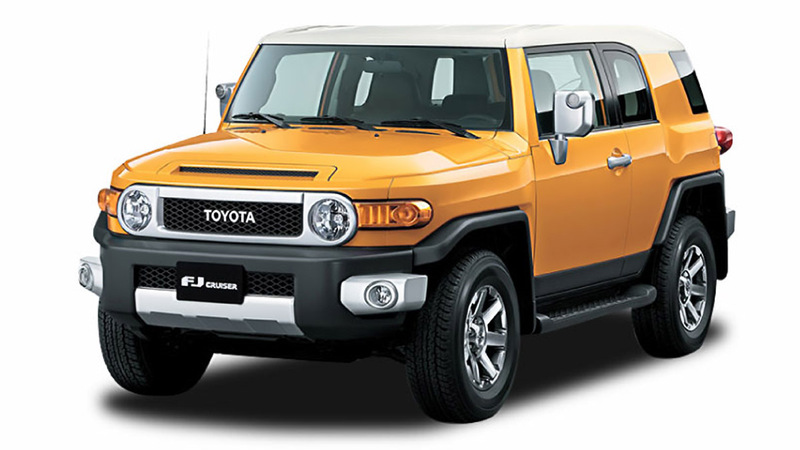 Uneven roads, poorly designed curbs, potholes, and illogical access ramps don’t hinder the FJ at all. 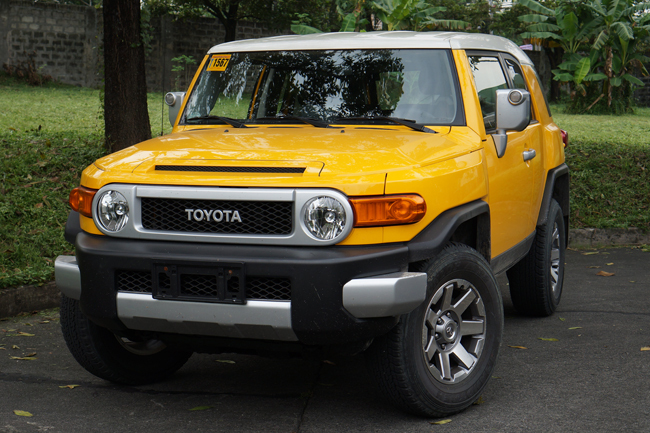 And while it may not be the most practical SUV--definitely not in this price range populated by diesel-powered, seven-seater Fortuners, Montero Sports and Trailblazers--the FJ has utility to spare. Its rear access door opens wide, with a strut that keeps it open when you’re loading things. The storage area is mostly flat and spacious; it can actually fit two small persons, although it isn't designed for passenger transport. In terms of cargo space, I think you won’t find the FJ Cruiser lacking. More than wanting this appealing SUV to be my main ride, I have become a fan. I bought a miniature Tomica die-cast model of it. I want to buy magazines and merchandise about it. The FJ Cruiser--if my integrity were so compromised--is what I would write praises for in exchange for a free unit or a hefty discount. But it doesn’t work that way--not on this website, not with me, and not with the FJ. This vehicle is something to be enjoyed with a pure motoring soul. It’s the kind of SUV that makes you look forward to the weekend more, eager to see what adventures the two of you will embark on. It’s something you work hard for, because it will remind you every day that your hard work was worth it. 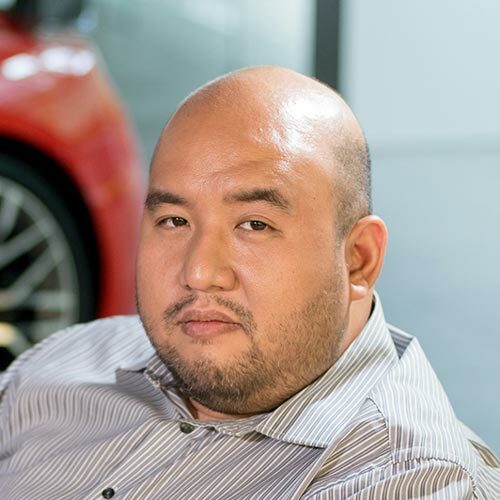 The hard truth is, I don’t know how I’ll be able to afford one at P1,798,000. I’ve done the math and played with the figures, and the numbers just don’t add up. But I’ll keep trying. I’ll keep looking for ways. Like Tom Hanks said in a certain baseball movie: "It’s supposed to be hard. The hard is what makes it great." Come to think of it: Maybe it’s time I cut back on the tasty but pricey ramen and Yabu dinners. My waistline will even thank me for it.